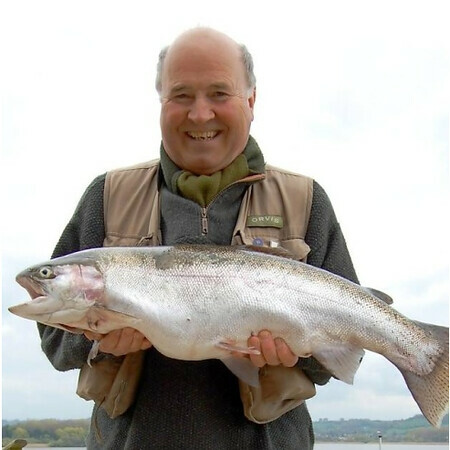 The Orvis Fishing Reports and Conditions pages offer up-to-date reports, including stream and river flows, tides, recommended flies and equipment, and special fishing tips. At any given time, those waters that offer the very best fishing become part of the “Red Hot” list. To ensure that those making the reports aren’t exaggerating the quality of their local fishing, each reporter is allowed only four red hots per year per location, so they only rank their spot red hot when it’s truly outstanding. Every Friday, we’ll highlight those waters that offer the best fishing for the weekend. 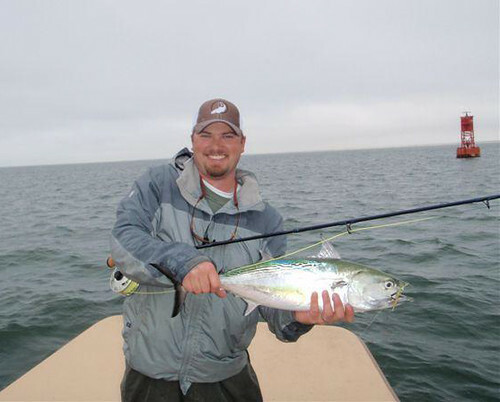 Matt Canter with a false albacore taken off the coast of North Carolina. Here in Vermont, we’re suffering through one of the wettest Aprils in memory. Combined with the huge snowpack we had, all this rain has pushed the rivers up into the trees. As I drive along the Battenkill every morning on my way to work, thinking about how I’m going to approach the river once it becomes even marginally fishable, I picture big, ugly, commotion-creating streamers. Anglers in the Midwest and in parts of the Rockies are facing similar conditions, trying to deal with too much water. Welcome to our second installment of “Ask a Fly-Fishing Instructor,” starring our own Peter Kutzer. A few weeks ago, we asked you to post some questions about your biggest casting problems. Reader “Jeff M.” wrote, “What mechanics do you use to increase distance and accuracy with a roll cast?” In this video, Peter demonstrates how to achieve better accuracy. . . The Madison River, The Henry’s Fork, The Firehole River: blue ribbon trout waters of legendary stature that are on every fly fisher’s “bucket list.” For years, local guides have been taking folks to these incredible rivers to partake of the gifts these waters offer up every season. However, there are numerous other options available to anglers who travel to Yellowstone Country. So let’s talk about a couple of these. The Maine Dept. of Marine Resources rejects effort to open the Kennebec River to bait fishing for striped bass during May and June. James Ferguson of Sweetwater Fishing Expeditions sent along this urgent message from the National Resources Defense Council about the Rio Baker in Chile being threatened by a proposed dam. Like most places in the Rockies, Utah has more water than we know what to do with right now. If it gets warm fast, the largest urban areas in the state will face mudslides and serious flooding. As a result, water managers are dumping as much water as they can from all of the reservoirs, . . .